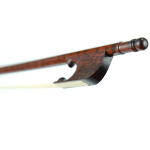 Viola Da Gamba is the same as a Bass Viol. 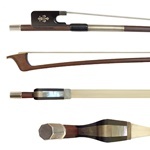 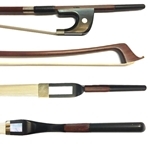 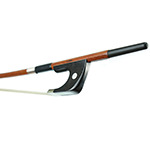 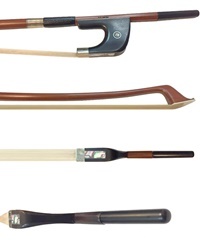 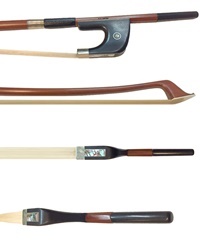 Baroque bows have always held a fascination with classical string players for their old-world elegance and beauty, but they have traditionally been too expensive for all but the serious Baroque player or the classical player/bow collector. 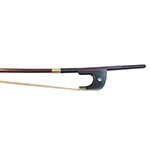 After receiving numerous requests over the years we have worked to develop a Baroque bow that would be affordable for a beginning Baroque player or for a classical player interested in owning a bow in this elegant style. 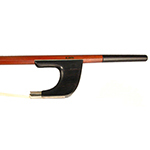 The snakewood is truly striking with it distinctive wood-grainpattern and is the choice for many Baroque players, but there is no notable difference in performance between pernambuco and snakewood.